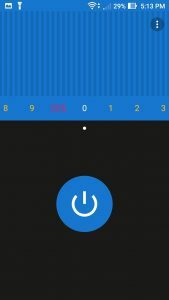 Flashlight App Review - A Small Yet Powerful Flashlight App! Have you ever faced a situation like walking on a street with lesser street lamp posts & your smartphone doesn’t have flashlight app? Have you ever tried to take beautiful pictures at night but missed the moment as the stock flashlight wasn’t optimal? Have you ever felt the need to help your friends find you in a crowded area or in a party, where waving hands don’t work? Do you need your phone at night, for light, to read a book or to look around for water or AC remote? Well, if you are the one among these, let’s read on!! Now, since you know the problem, the answer is – Let’s use a Flashlight app. Easy it was, right? Well, the answer is easy but the choice is not. There are tons of Flashlight apps flaunted by many developers on the PlayStore. Finding the right one, which provides an answer for the above requirements, is a task! Now comes Flashlight! This is a small, easy to use, material design app, which does exactly for what it is made for. The small Flashlight app comes with hosts of features to help you replace your torch/flashlight with your android device. It allows you turn your phone’s LED flash or screen light into a powerful flashlight with a single tap. The Flashlight app was launched on Play Store on 16th June 2016 and within 8 days it has over 50K installations already. 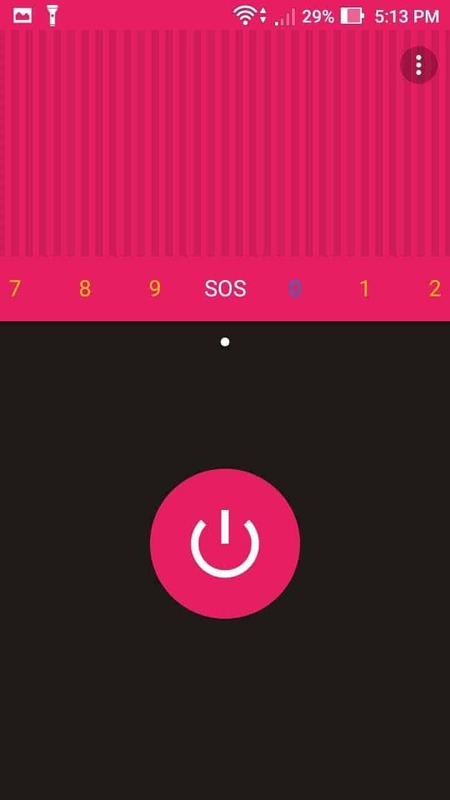 Along with a variety of modes for Flashlight, this app also provides a unique feature called SOS. Let’s explore more about the app. The app has got the cleanest UI among other similar apps. It doesn’t contain any unnecessary options or windows to distract users. 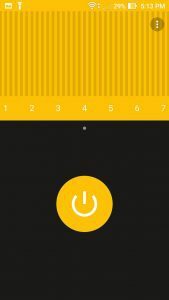 Upon firing up the app there is a sweet big centered Power button which clearly indicated its feature, Press – To turn On or Off the Flashlight. There are different numbers denoting the different flashing frequencies by the app. The app has Material Design consisting of Settings & About (about the developer & app) options. The Settings Option has 2 key sub-options. With the 1st option, you can select the Default State of the app in which you would like to see the app when it’s opened. In the case of default state being ON, the app will always fire up at 0 Flashing Frequency with Solid Flashlight. With the Default State being turned off, the app will always open with the frequency on which it was closed on the last use. Even if the app is cleared from the Recent Apps switcher, still the Default State app function with work flawlessly. The 2nd option under “Settings” denotes Ongoing Notification or the Persistent Notification. 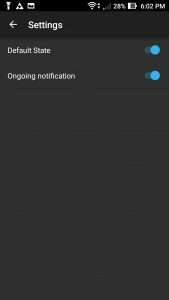 With the Ongoing Notification being turned on, the app will always be available accessible with a single click even from the lock screen (without pattern lock). The app can be fired immediately when needed from the Notification Bar, even if it’s not in the recent memory. However, there is a small difference in opening up the app from the launcher icon and opening up the app from the Persistent Notification. Opening up the app from Notification bar basically overrides the Default State settings. 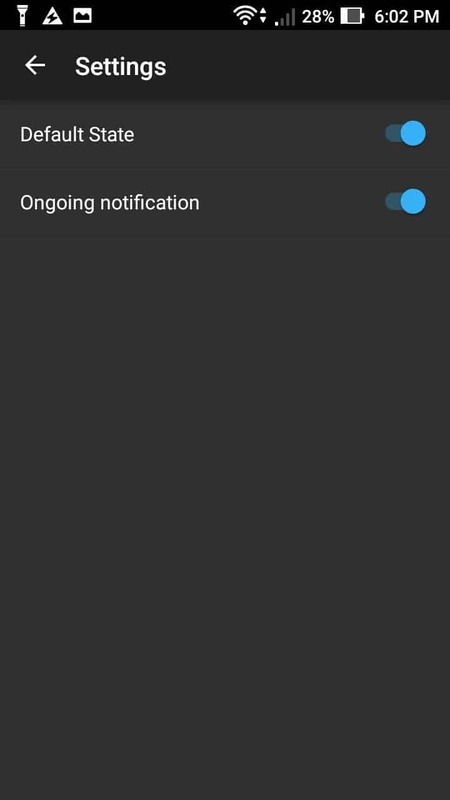 If you fire up the app from the Notification’s Tab, the app will Start flashing the light with the Default State, no matter if the Default State is turned on or off in Settings. This also denotes that, if you start the app from the launcher icon it pulls up the main window of the app, but doesn’t start flashing the light. However, if it is launched from the Notification bar, it will start flashing the light immediately. Thus bringing the flashlight at work, faster. There are 9 Frequencies Mode or Blinking Modes from which you can choose from and use the flashlight of your phone as a strobe. The frequencies ranging from 1 – 9 make the flashlight in the form of a strobe. The higher the frequency the faster is the blinking of the light. These strobes work for about a minute before it gets turned off and blinking returns to the normal flashlight. However, the flashlight won’t power off automatically until you turn it off manually or shut off your phone screen! This is my personal favorite feature of the Flashlight app. 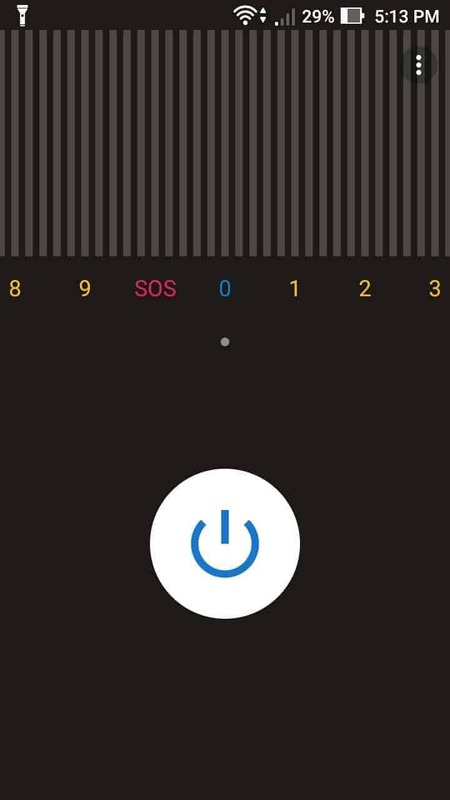 SOS mode helps to signal in case of an emergency or to give a distress signal or call. This app has built-in SOS flashlight signal mode, which can be a real lifesaver in times of distress. There can be various instances when you might need this feature. I got the help of this feature in a crowded Discotheque when my friend was unable to find me on the crowded floor. I texted him that I would be giving SOS signal from my phone’s flashlight. And, it worked like a charm! I was easily located by my friend in the dark – crowded disc by the SOS signal from my phone. 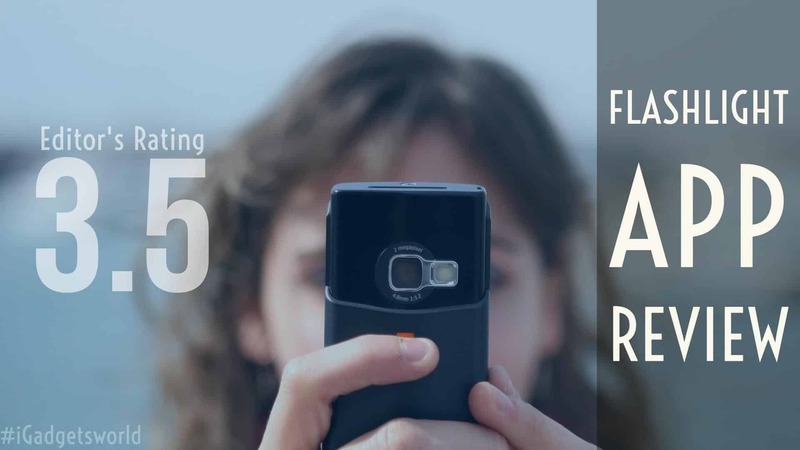 There are still a lot of android phones being launched across the globe in the cheaper budgeted segment. Many of these 1 GB Ram smartphones do carry a 3MP – 5MP primary shooter but these majorly come WITHOUT any flashlight. In the devices which don’t have built-in LED Flash, the flashlight app will work in a Screen Light Mode. It supports 3 stunning color screen modes. Apalon Apps, leading developer of apps on App Store, Play Store, and Amazon Appstore, have previously designed some amazing apps like Notepad+ which has over 50K-100K downloads with an average rating of 4.4 Stars and Weather Live app which has got 100k-500k with an average rating of 4.5 stars on Play Store. This new app has already started getting a lot of good response from the users. With an average rating of 4.5*s and downloads of somewhere in between 50k-100k, this app has already started making a mark for itself. The faith in the developer restored! After using the Flashlight app for over 2 days at multiple instances we have the following list of Pros and Con’s of this app. The Flashlight app provides a simple solution for lighting up your phone’s LED with various blinking options.